Hydrogen is the simplest and most abundant element on earth. 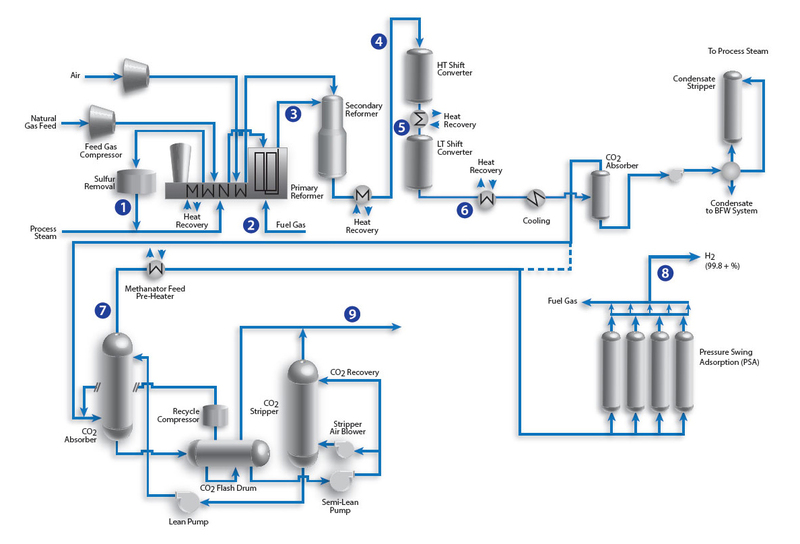 In 2013, the annual production of hydrogen was estimated to be about 55 million tons with its consumption increasing by approximately 6% per year. 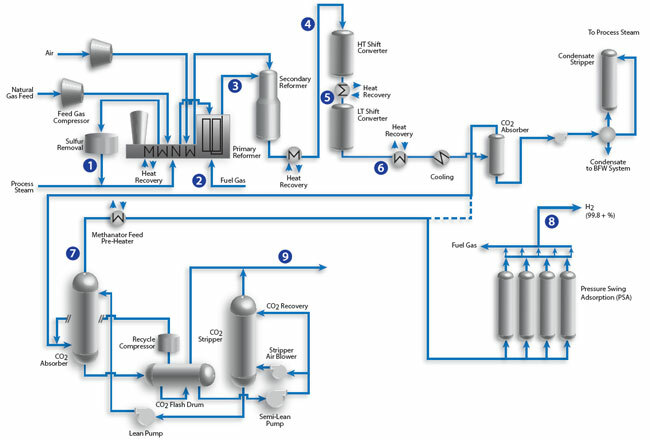 Production is primarily from Steam Methane Reforming (SMR) of natural gas and much of this hydrogen is used in petroleum refineries, in the production of ammonia for fertilizers, and in the production of methanol. In 2013, close to 50% of the global demand for hydrogen was produced via SMR of natural gas, about 30% from oil/naphtha reforming from refinery/chemical industrial off-gases, 18% from coal gasification, 3.9% from water electrolysis, and 0.1% from other sources.